Pop, Six, Squish, Uh-Uh, Cicero, Lipschitz! Detroit had it coming. You'll only have yourself to blame, if you're not there and aren't seeing it. Will you be there when CHICAGO takes the stage at the Fisher Theatre October 16-21? CHICAGO will appear at Detroit’s Fisher Theatre, October 16-21, 2018. Tickets start at $39 and go on sale Sunday, August 5. Purchase tickets online at www.broadwayindetroit.com or www.ticketmaster.com, or by phone at 800-982-2787. Starting Monday, August 6, tickets may be purchased at the Fisher Theatre box office. 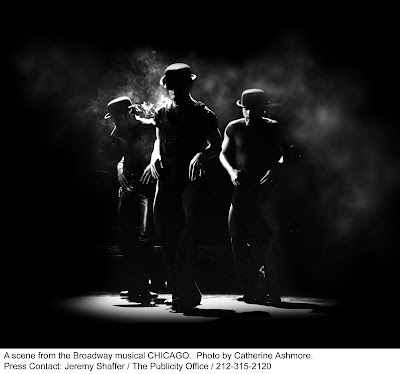 • Sunday evening performance at 7:30 p.m.
• Special open captioned performance on Friday, October 19 at 8:00 p.m.
Tickets for CHICAGO start at $39 (includes facility and parking fees) and go on sale Sunday, August 5. Tickets can be purchased online at www.broadwayindetroit.com or www.ticketmaster.com, and by phone at 800-982-2787 Starting Monday, August 6 tickets can also be purchased at the Fisher Theatre box office. A limited number of premium seats will be available through Ticketmaster and at the Fisher Theatre box office. For group sales (10 or more) please call 313-871-1132 or email groups@broadwayindetroit.com. Tickets for the open captioned performance may be purchased in person at The Fisher Theatre box office or by phone at 313-872-1000, ext. 0. Performance schedule, prices and cast are subject to change without notice.